Why would you need a back up plan? Why not just have my back?! +Military Spouse posted another article titled Yes, you DO need a backup plan and, as usual, I couldn't just let it go. It was written by another spouse in response to a previous article on "extreme betrayal" and, in not-so-clinical terms, is an attempt to jump on the band wagon. Let's be very clear about something first; marriage is a commitment similar to a business proposal, for conversation's sake. In business there are mutual benefits to merging companies, revenue typically increases, and most especially leadership is clearly defined. In marriage both parties may have a job which would typically see an increase in income once married but what is most-always missing is a leader. How does leadership define success? Success doesn't need a backup plan! And before I get too far into this, realize that both parties were probably broke before they got married hence getting married does not double your income; two paychecks are still going to two people. Anyway... The author's advice to the "extreme betrayal" included getting your own bank accounts, knowing how to balance a checkbook, making sure your name is on the title of the family vehicle, have access to all your accounts and power of attorney, monitor your credit score, get your own savings account, have a safe house, and step out of your comfort zone. Why should she get her own bank account? My wife is a stay-at-home-mom, home-schools our four children, and is finishing up her degree as we speak. I work for money, she works for my exhalation and glory to God! I'm blessed, it's obvious, and I know it. We budget everything out and she knows how much she has for groceries and has the freedom to make small purchases that wouldn't adversely affect our account at any time. Our rule of thumb is "over $50, ask." That goes both ways, too. Why does she need her own checking account? I have seen it in every divorce, whether both parties worked or not, that getting separate accounts was the beginning of the end. According to a +Citibank US survey, "57% of divorced couples cited money problems as the primary reason for the demise in their marriage." Getting separate accounts won't keep the other person from "extreme betrayal" and it most certainly sends signals and signs that you don't trust the other person with the money either. If you see +Usain Bolt in a one-piece track suit on the side-line stretching what do you think he's about to do? Yup, run. 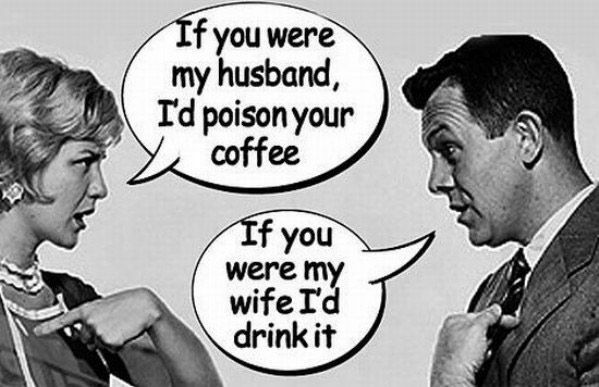 Communicate with your spouse and trust their decisions with your input. This is a no-brainer to me but, how many people still use one? With cellular technology allowing us to simply check our accounts as we go, is a checkbook really the issue? How about monitor spending and be open and honest.... uh oh, all I'm saying is communicate. Weird. Why? To be honest, I'd rather my name wasn't on so many things, but does it matter? If, God forbid, something happened on a deployment, or even going to work, my WILL would leave everything to my wife and my Power of Attorney would suffice during deployments should a need arise. It's all about being prepared for a deployment, not stockpiling weapons and saying you're not interested in going to war. However, not having access to all your accounts is an obvious indicator that you're in a controlling, if not abusive, relationship. Seek immediate professional help such as +Military OneSource or other counseling options. Monitoring your credit score at least annually is a no-brainer, too. I care not to discuss such obvious remedies. This one was a bit cryptic to me. While I felt that this article, in general, was advise to the former of leaving rather than the latter of "sticking it out", the "safe house" idea cemented my opinion of this article. Safe houses are great to explain to your children where to go if they find themselves geographically separated in a natural disaster or home-invasion but what point do they serve otherwise? If you're in an abusive relationship, take a cue from the indicators before they require your removal from the home and leave anyway! This article wreaked of "I'm not saying 'leave him' but,..." innuendos while I didn't find any of the information informative to my spouse whom the article should apply. In reply I offer the following personal, researched, and informative for your review (That's really smart talk for 'I think the last article sucked, here's my opinion). Marriage is a sacred union that involves detailed pre-marital conversation on topics including finances, faith, and family. My three "F"s, essentially. In regards to finances, and more especially the military, it's easy to know how much the other makes since we're on a published pay-scale. Discussing spending habits shouldn't be anymore difficult than talking about your favorite movies, either. You've spent "X"-amount of time together observing one another's habits and mannerisms, that this shouldn't be a difficult talk. Secondly, faith should be a topic that might take a while. Before my wife and I married we had these talks and when we got to the "how many kids we wanted to have" part, the "how will we raise them" topic arose; this included faith. I was raised Baptist and she Catholic. Well, we're Christian so that solved that. Whether either party "declares" a faith or not, the topic must still be discussed. Finally, family. Do you plan on having children? How many? Who's going to raise them? Public school or private? This alone is a topic that spawns many week-long (or longer) break-ups. After even mentioning these topics there should be enough conversation going-on that it should be apparent as to whether or not you should be together for any longer. It can be summed up with "communicate", period. 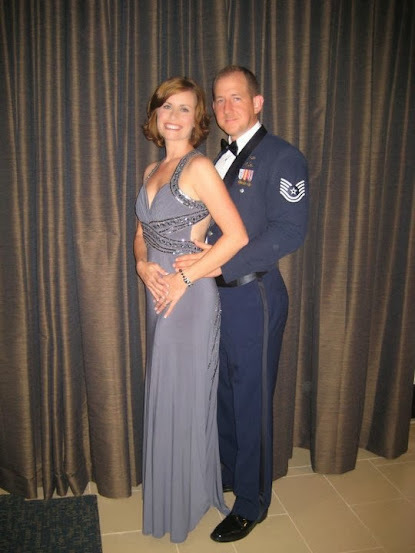 My wife was Active-Duty before we married and once we broached these topics we learned a wealth of information about one another that actually turned me on more; not physically (that's just weird). I realized that I had finally found a woman who believed the same things I do, was willing to form a partnership with a goal in mind, and was willing to put up with category-5 white-water rapids in order to view the majesty of the mountains (a figure of speech I've been dying to use; don't think I quite nailed it though). While most things can be taken with a grain of salt, bad advice should be avoided altogether. Seek wise-counsel from happily married couples of more than 10-years and not your new base-housing neighbor that you just met because they seem nice.